Optional preparation for Cambridge English Qualifications. ​With a Total English course you study in the mornings Monday to Friday. The mornings are divided into two lessons of 1.5 hours each, with a 15-minute break in between. You change teachers at break, but we aim to keep the same two teachers working with you long-term. In Lesson 1 (09:30 – 11:00) your teacher will give you work from a course book, which will provide the framework of your course, with a range of additional materials to make your lessons interesting and relevant. In our small groups, you’ll have plenty of opportunity to discuss things with your teacher and classmates. Lesson 2 (11:15 – 12:45) is more flexible, but may be linked to Lesson 1, including vocabulary extension, ‘spin off’ topics, whilst giving an opportunity for pronunciation practice, learn-to-learn skills and lots of speaking and listening practice. Friday is the day for workshops, where you and your fellow students work on anything that specially interests you, or which you are concerned about. It’s also the day where your teachers can suggest topics they feel you should work on, and the day for intensive exam practice if applicable. 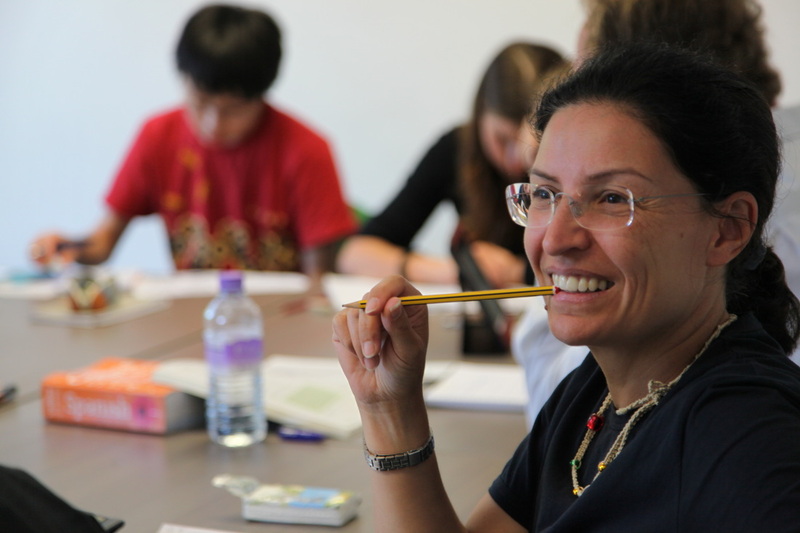 Students joining a Total English course can choose to take additional 1:1 lessons in the afternoons - Total English plus. *Levels available for group teaching subject to demand. ﻿A non-refundable registration fee of GBP 60 is payable on all bookings.